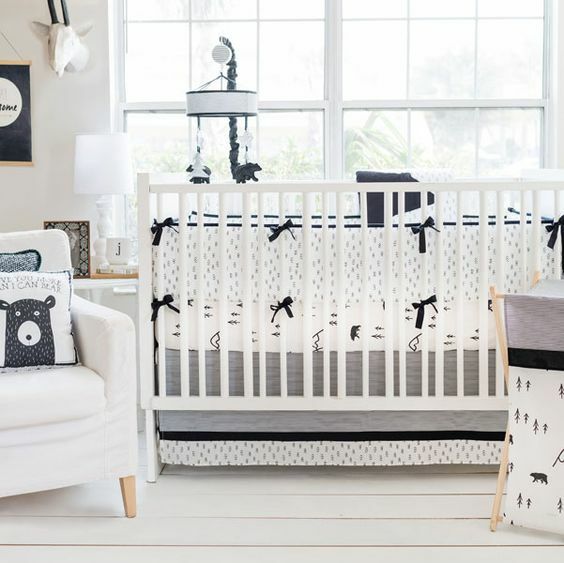 My Baby Sam Little Black Bear Crib Bedding Set | Quality Crib Bedding at Great Prices! 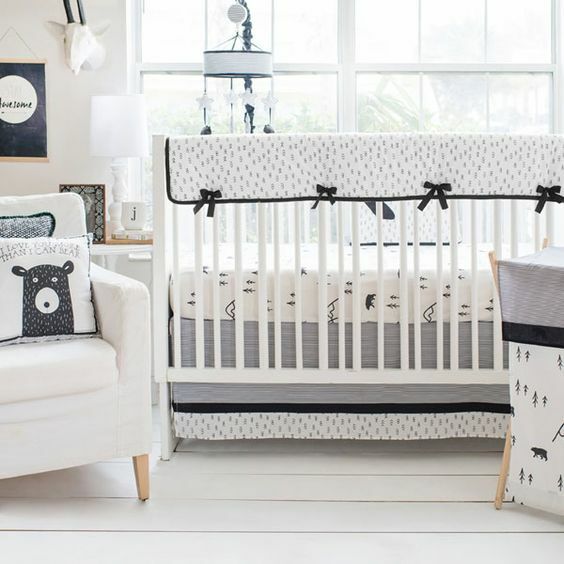 This black and white bear crib bedding is perfect for your woodland nursery! 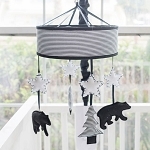 This unisex baby bedding set features a rustic bear and tree pattern in black and white. 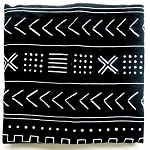 Mini black arrow pattern crib rail cover is trimmed in black cording and ties, and is 100 % cotton and padded. 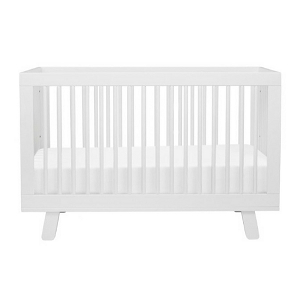 Crib rail covers are decorative and will keep your baby from chewing on the crib. 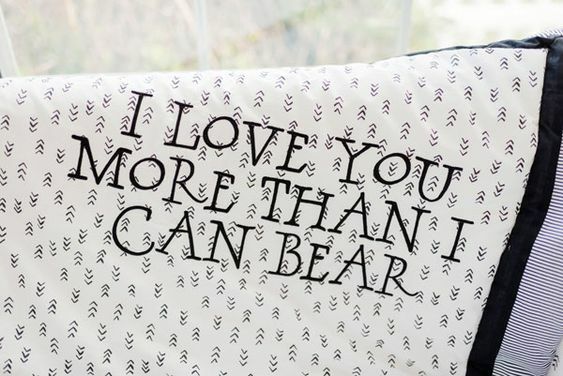 Coordinating black bear crib blanket says "I love you more than I can Bear" and is warm and cozy. Tailored crib skirt is accented with fabric bands. 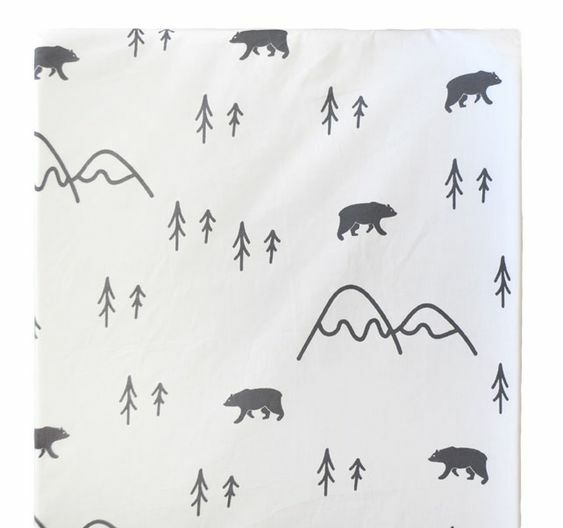 3 Piece Set includes: Crib Sheet, Crib Skirt and Bear Baby Blanket. 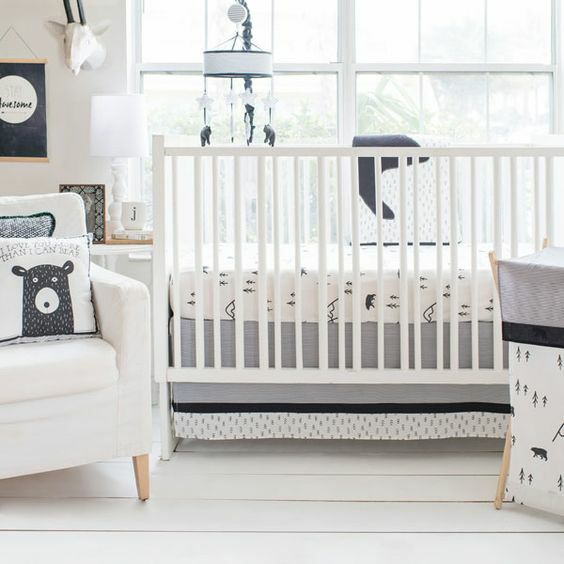 Add coordinating crib rail cover or bumper to complete the look! • Mini Arrow Crib Rail Cover Dimensions: 52" x 18" x 13.5"
• Stripe Crib Skirt drop length is 15". • Bear Crib Blanket is 36" by 44". • Crib Sheet measures 27.5" by 51" by 8". PRE-ORDER: Estimated to ship Mid February.